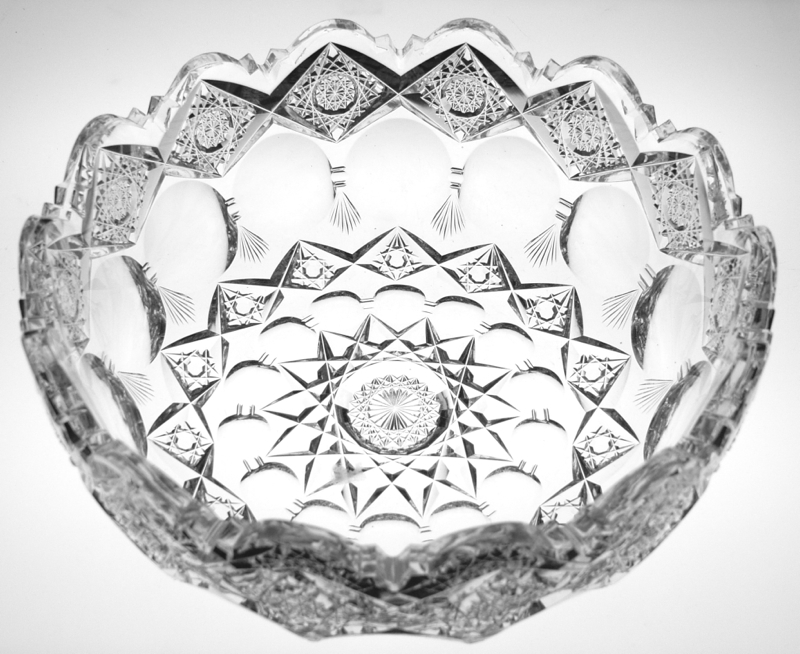 This heavy bowl is cut in Sinclaire’s seldom seen and well done Brussels pattern. 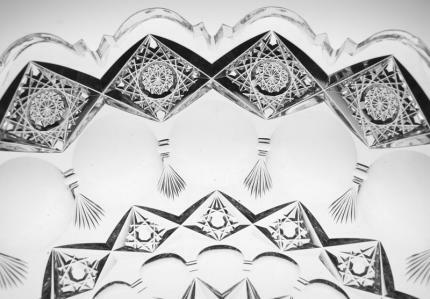 The Brussels pattern is nearly identical to Hawkes’ Kings pattern. 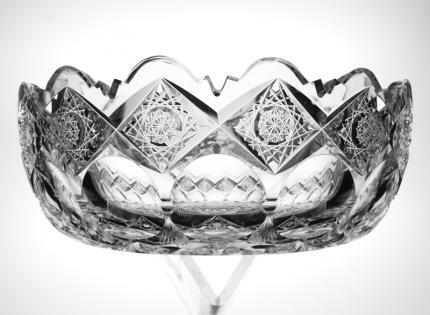 Usually the only way to tell the difference is the signature – and this piece is signed in the center with the Sinclaire trademark. 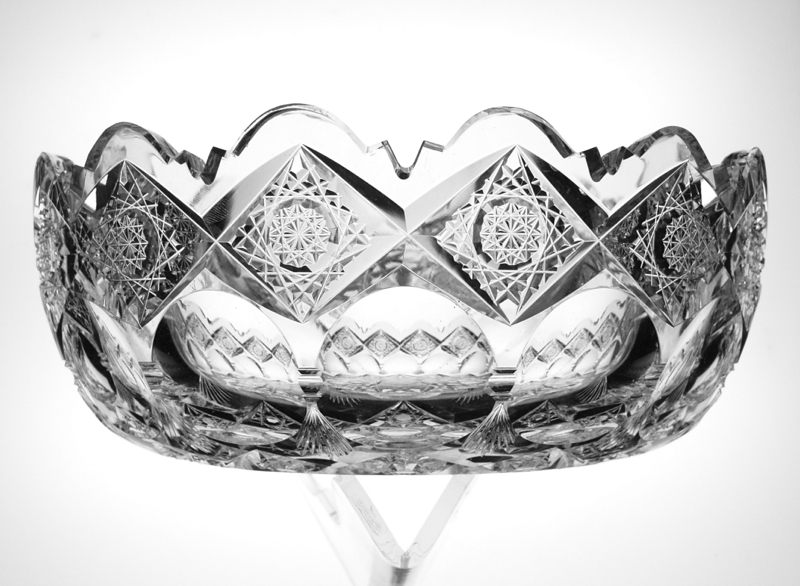 One of the most stunning portions of this pattern are the large, clear punties that wrap around the bowl. 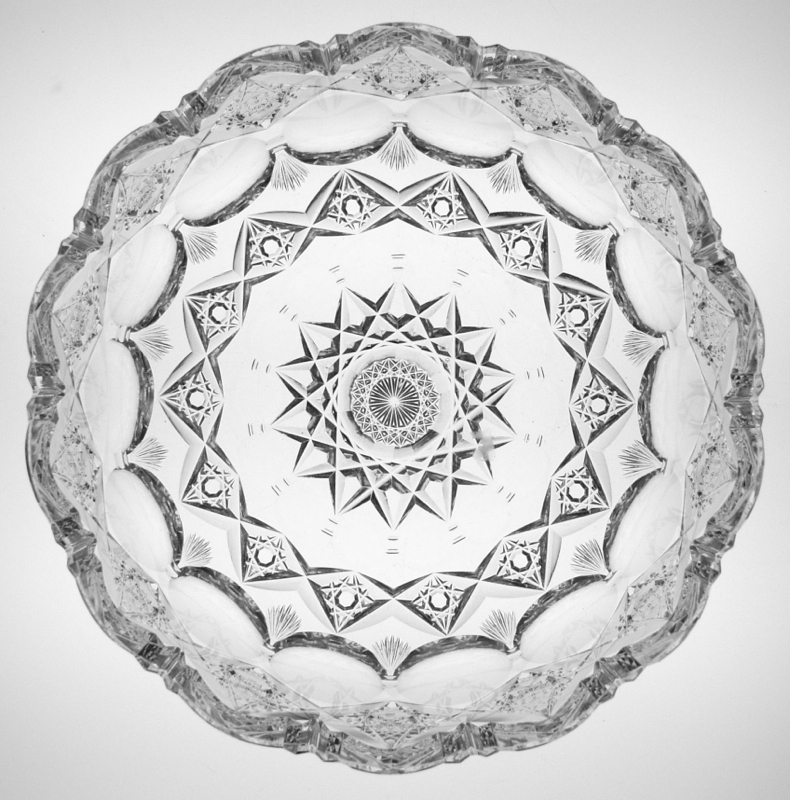 They provide wonderful optics when looking at the entire bowl – like a lens. 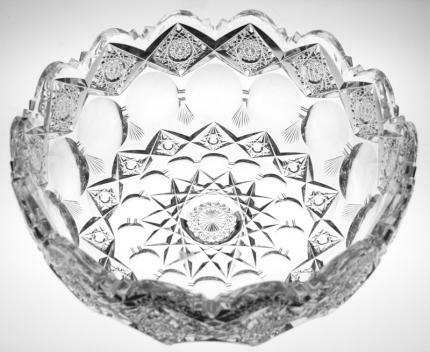 The border of the bowl is also unusual – it is cut like Hawkes’ panel with large scallops and then a u-notch between each one. This rim frames richly cut, diamond shaped hobstars. The punties are divided with a notch and a downward fan. Then there is another additional row of clear-button hobstars and another row of punties. 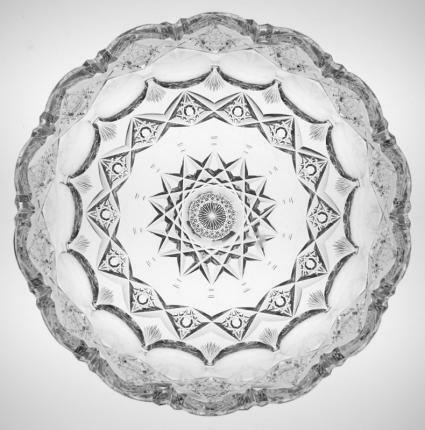 The center of the bowl has a 14- point hobstar. This bowl is quite heavy and large – measuring 9″ wide and 3 1/2″ tall. The blank is perfectly clear making the optics effect all the more appealing. This piece is in excellent condition with some a couple of extremely minor portions of roughness – no chips, flakes or anything larger than a fleabite.